Cela faisait un bon bout que je voulais m’y mettre et c’est fait depuis hier. 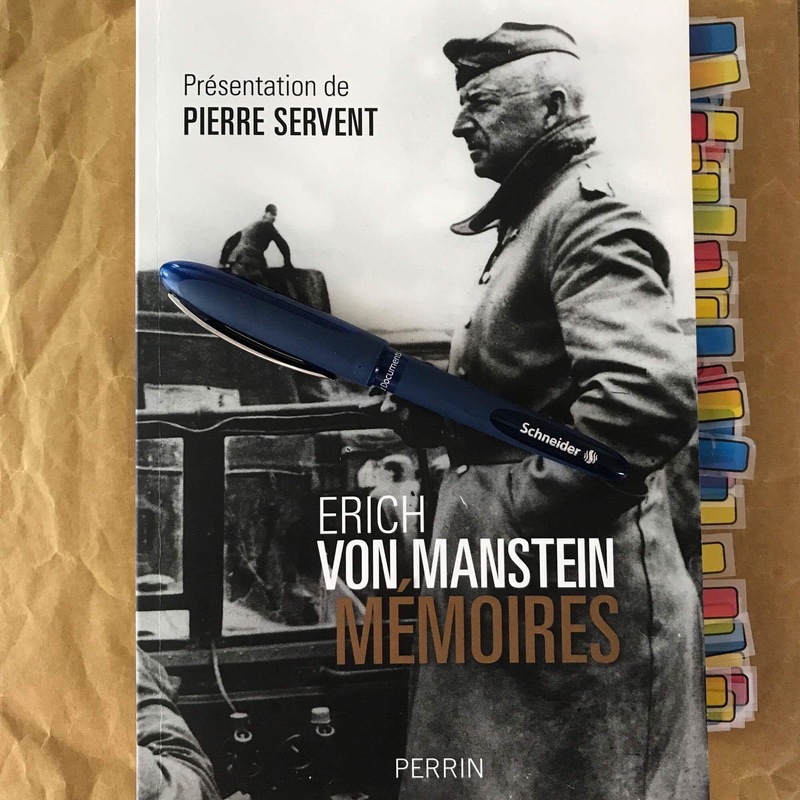 Avec mon stylo comme compagnon, je me suis plongé dans les mémoires du Generalfeldmarschall Erich von Manstein. Et je dois avouer que c’est une lecture tout aussi intéressante qu’instructive. J’aurai le plaisir de vous en proposer une recension lorsqu’en aurai terminé la lecture. I’m always happy when The Journal of Slavic Military Studies releases a new issue. Since 80% of the Wehrmacht losses occurred on the Eastern Front, I’ve always thought it is primordial to be interested in that vital aspect of World War 2. The current issue of the JSMS features a very interesting article by Valerii Nikolaevich Zamulin about the difficulties related to the supply services before the battle of Kursk. Wasn’t it Napoleon who declared that: “An army marches on its stomach”? Under those circumstances, the soldiers of the Red Army had a tall order. General Nikolai Vatutin – commander-in-chief of the Voronezh front – had to find a solution to this situation and to other challenges, like lack of transport and replacement issues, encountered by the Red Army in that sector before the battle. Against all odds, Vatutin succeeded. Under heavy duress, the Red Army soldier was therefore given the tools to fight with gallantry against his enemies. Zamulin’s article is truly fascinating and deserves to be read by any student of the Eastern Front and the Red Army.